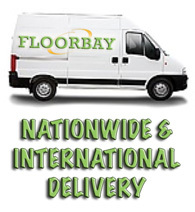 Floorbay has many years of experience in delivering quality flooring. We deliver directly to you at unbeatable prices. We hold substantial stocks for next day delivery. Our range of Amtico, Cavalio, Polyflor and Karndean flooring comes highly recommended. Each floor range combines great looks with sensible prices. Call us for samples! Our service is second to none. We are a family-run firm and offer a complete service. Assessment, supply, fitting to after sales ­ we know what you require. We are here to help and advise you and we are only a phone call away. Our Cavalio and Karndean Flooring ranges are unrivalled too. Cavalio is becoming popular thanks to its high quality and competitive pricing. Take a look, give us a call – we will help you get the right floor at the best price. Floorbay are specialists in the fitting and supply of Amtico Flooring. We are part of Carpet Creations – a real shop with real staff based on Park Lane, Poynton in Cheshire. We like Amtico as we believe it is just about the best flooring you can buy. It is comfortable for the feet and easy on the eye. Amtico flooring offers a huge variety of designs and colours to choose from. The quality of the products is important, but so is our service! At Floobay, we always try to go that little bit futher. You will get the best prices on the web and the best service too! Quality service from a REAL floor supplier shop in Poynton near Stockport, England, United Kingdom. The Camaro flooring collection was developed by a team of specially commissioned artists and luxury vinyl tile product designers. Each Camaro flooring product has been designed to replicate the natural beauty and allure of wood, marble, slate and stone. For samples please feel free to call us, we are happy to send you six samples of Polyflor flooring free of charge. Floorbay endeavour to bring you the best possible Polyflor laminate flooring prices possible, all our products come batch matched, with full warranty. We also offer a fitting service for most parts of the UK. Karndean flooring is manufactured using virgin PVC combined with high quality plasticizers finished with a urethane wear layer. Each Karndean product is skilfully finished with a subtly textured surface to replicate the natural finishes you would find on slate, ceramics, stones and real wood products. Karndean flooring have developed an incredible degree of realism in their surfaces, yet without the practical drawbacks that are inherent with natural products. The finished Karndean product is virtually indistinguishable from the natural materials which inspire the Karndean flooring designs with the added benefits of limitless design opportunities. Made by the James Halstead Group, the new and exiting Cavalio range offers a fresh and exciting range of beautifully reproduced wood and tile effects in luxury vinyl tiles. Contemporary living has never been more stylish or easy to maintain since the arrival of Cavalio – a fantastic collection of laminate floors. The Cavalio flooring range is the perfect choice for any room in the home, from bathrooms and kitchens to living areas and bedrooms. If you are environmentally minded, then take a look at Cavalio’s stunning Artigo range made from a combination of natural rubbers. We believe Amtico Flooring is just about the best floor you can buy. Amtico International is the driving force behind some of the world’s leading flooring brands – there is no such thing as cheap Amtico flooring‘ – it is a contradiction in terms. Established in 1964, Amtico International has grown to dominate the premium resilient market, both in terms of sales value and brand awareness. Polyflor is an international manufacturer of commercial vinyl flooring – safety flooring, homogeneous vinyl floors, sports flooring, acoustic flooring, heterogeneous floors, luxury vinyl tiles, semi-flexible tiles, electrostatic discharge (ESD) flooring. Based near Manchester, England, Polyflor is a major manufacturer of commercial floor coverings, operating successfully throughout the world. Polyflor have dedicated personnel within its salesforce, technical department and design team to provide comprehensive customer support.